Moving house is never easy. Either you are moving in or moving out, the process itself is daunting. Moreover, it can be a really a serious chore, especially when you have to consider the amount of cleaning required. But you have nothing to worry about cleaning! With Maid in Perth’s cleaners around, it doesn’t have to be a nightmare. Our top-quality move in move out cleaning service will make your soon to be home or your once lovely home a home sweet home once and for all. Everyone wants a flawless kind of clean. And we in Maid in Perth guarantees to provide you with an excellent and the finest cleaning experience. Move in move out cleaning is high-level detail cleaning which includes cleaning all windows, walls, inside outside of all cabinets, window tracks, door frames, ventilation, all light switches and light bulbs. We have tailored the service suitable for both landlords and tenants. When a lessee moves out from a property, lessors would want to have the property as presentable as it was at the start of the lease. In fact, as a renter moving out, you are required to do it if you want to get your bond back. This is to make the property marketable to new tenants. Now, as a new renter moves in, there is no guarantee that the house will stay as clean as it was when the last renter left it. Considering the length of time, the property waited for a new renter. Thus, another important cleaning procedure has to be done. Therefore, we designed our service to fit either scenario. Whether you are moving in or moving out, we can help you all the way! With our move in move out cleaning expertise, cleaning will be done with ease. Leave your cleaning worries behind. If you are moving in or moving out, no problem, mate! Maid in Perth will come to the rescue! 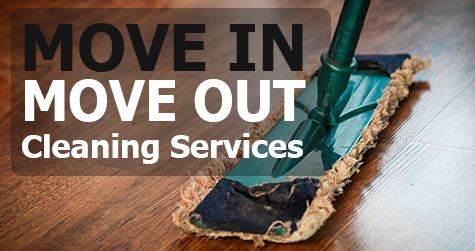 Our move in move out cleaning service is available anytime you want. No need to stress yourself more. We got your back. Hence, enjoy a property cleaned from the bottom to the top. We will clean even the neglected areas behind and underneath furniture. We can even help you out with your window cleaning needs. So, in this way, you can focus more on your move while we handle the cleaning. Book with us today and experience a one of a kind professional way of cleaning.